Find a name that expresses what you do and take ownership of your brand Get a memorable name that tells your visitors what your site is all about. Find a name that expresses what you do and take ownership of your brand Get a memorable name that tells your visitors what your site is all about. SSL Certificates help you keep your customers' transactions secure with up to 256-bit data encryption and site authentication. Buy a certificate and speed through enrollment with automated domain control validation. Best of all, our SSL certificates are among the most affordable in the industry. Looking For A Premium QualityDomain Name? Domain Names, SSD Web Hosting and SSL Certificates. For custom service request contact us! RapidSSL® Certificates help you keep your customers' transactions secure with up to 256-bit data encryption and site authentication. We take pride on our services. Satisfaction is guaranteed. AlbaSpot customers have access to live 24 x 7 x 365 support from a professional support specialist. Customers can contact them via phone, email or online chat – whatever’s most convenient. 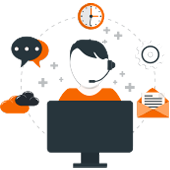 The support expert who responds to your query will be the one who resolves your issue quickly and efficiently. Your satisfaction is our top priority and we're confident you'll be pleased with our services. If you decide your account does not sufficiently meet your needs, you can cancel within 30 days for a full refund. 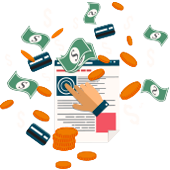 Domain Names and SSL certificates are non-refundable due to the nature of their costs. 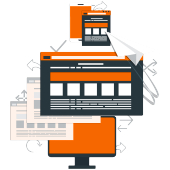 The availability of your website is our top priority. We stand by that fact with our uptime guarantee! All our hosting server run on a redundant setup and are backed up daily for up to 30 days. <br> We can guarantee our service because we know our hardware, software and technicians are the best in the industry. Copyright © 2019 AlbaSpot. All Rights Reserved.